Alienated surprised me in all the right ways. I expected something cute and light and while it was that, it was also so much more. Landers creates a well rounded story, with likable characters and modern parallels that left me longing for the sequel. Cara was a girl with a personality. I liked that even though she wasn’t completely sold on the L’eihr exchange once she was committed never wavered and stayed loyal to not only Aelyx but the program as well. It was refreshing to see such a steadfast character that also had a bit of a funny side. Aelyx and I got off to a rocky start. From the outset he has a very haughty attitude and a huge superiority complex because earthlings aren’t as advanced as the L’eihr. He is also dead set on sabotaging the program so he was hard to like. As Aelyx and Cara got to know one another though Aelyx gradually becomes more of an actual person and by the end of the story I really liked him! I also liked the loose parallels between the integration of white and black schools during the 1960’s and having alien exchange students. There are protests, and students that automatically hate the L’eihr just because they are different. I really enjoy books that draw on this theme (i.e. Generation Dead by Daniel Waters) and Alienated was no exception. 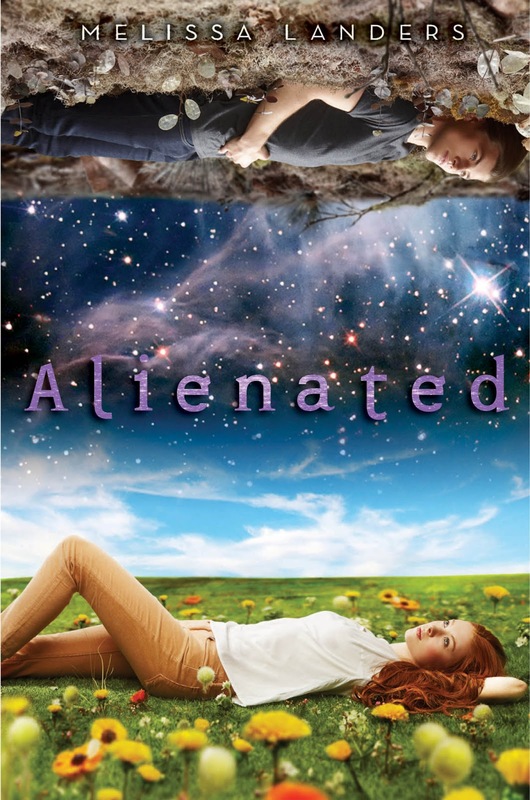 Overall, Alienated was a cute, quick, and fun read. There were moments when I was laughing to myself and other deeper, more reflective moments. Landers really blends the two skillfully and am excuted to continue Aelyx and Cara’s story. I like the idea of alien exchange students and there being prejudice against them. So often in sci-fi stories aliens are all-powerful and hold on the cards, so it's interesting to explore them as characters in their own rights, capable of feeling hurt or fear and of being discriminated against unfairly. I keep seeing this book and was wondering what it was like. Such a great review. The book sounds pretty good! You liked it more than I did, but it was a fun story. I think my students will love it!